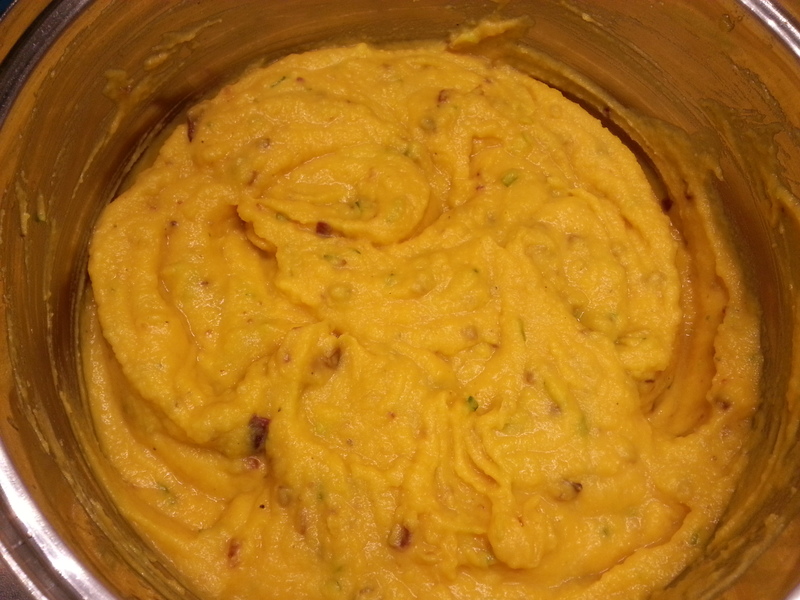 Don decided on a whim recently that he wanted to add a sweet potato to our mashed butternut to see how it tasted. As usual, his ideas always come out amazing. So, the next time he decided to add a little bacon, and a few other things, and hello delicious! We discovered a new household favorite – faux loaded mashed potatoes. Peel and cut the sweet potato. Place both in pan with water to about half way covering the squash and potato. Cook bacon and set aside. Chop into bits when cool. Drain squash and potato when soft. Add bacon, green onion, butter, and sour cream. Use a stick blender or hand mixer to mash/blend it all together. Thank you! I will do that soon. We are in the process of moving across state and my hands are full at the moment. I hope to be back regularly in a month or so. 🙂 Thanks again for the comment and invite.